The Toronto market continues to see growth but how do individuals participate on properties with unique potential. Private REITs and other investment structures such pooled investments allows an investor to participate in urban infill projects, retrofits etc. with diversified point of view. Investments of $100,000 or more allow such participation, although one must be aware of the higher risk, such investments offer better returns than large funds. I attended the GoReal Private Equity Real Estate Forum on May 10, 2018. Although I missed the first speaker I was there in tie for condo developers panel with Sam Mizrahi, Stuart Wilson, David Minor and Brad Lamb. It was a spirited discussion on the state of the market in Toronto and the GTA. They noted that their is a 35,000 unit shortage this year and they are concerned that this will not be made up. Selling price of condos has reached $1250/sf and is expected to climb to $1400/sf next year. Costs are up over 30% in the last 18 to 24 months. Cost acceleration is due to increased development fees and levies, increased time to market, increased material costs and a skilled labor shortage. As well land prices continue to escalate in the key development areas in central Toronto. Land is now considered a speculation play. The increased costs are squeezing margins to below 20-25% which in turn is increasing the economic risks of projects. The foreign buyers tax is hurting the pre-purchase market. Doug Lamb mentioned how this funding helps get the projects off the ground and this money is drying up. As well the restrictions on borrowing are considered one of the great blunders by the Feds. This combination is making Toronto a expensive and riskier market. Several projects have been cancelled as the economics no longer work and the panel expects up to 25-30 projects to be shelved this year in the GTA. It is impossible to build in Toronto for less than $600/sf. A lot of scorn on the City of Toronto and the Provincial Wynne Liberals. The City has been quietly deeming buildings historic structures in the middle of blocks while government land and housing policies are pushing up costs and time to completion. The general consensus is that building is going to slow in Toronto proper. They are looking outside Toronto to the west to Hamilton, North to Vaughan and east to Pickering. This models works when builder has a track record of build and or operation. The market for buying single purpose building also slowing up as there is lots of product for sale but the cap is too low and therefore the numbers do not work. Success in single purpose is cheap land. Surface parking and 4 story wood construction. General feeling is that single purpose building appeal to people more than condo rentals as they are focused on meeting the needs of this market. Rental needs are changing and they mentioned that buildings in the US are reducing kitchen size and offering restaurants in the building to provide meals. One Bloor East will be offering this type of amenity and service model. On a final note Sam Mizrahi the developer behind One Bloor East is extremely excited about this 90 story live, play work facility. All the retail has been leased, building is over 75% sold and they are moving forward. A couple of articles have caught my eye this past week. Naomi Powell wrote in the National Post on April 3 that Millennial’s are behind the surge in home buying intentions which is no surprise with some help from the family. The Toronto condo market continues to be hot with a recent launch of a waterfront tower offering units for $1200 square foot. Toronto market has been compared to a micro New York condo market but what happens when buyers hit the wall on pricing. Recent proposed launch of a 25 acre redevelopment site in NY with potential condo pricing an the $3000 per square foot range when completed. However an article today in the National Post by Bloomberg noted that home sales in Manhattan have slid the most since 2009 with a 5.2% drop in unit prices this year. “Even with New York real estate prices, you do hit a point in which resistance sets in,” said Frederick Peters, CEO of brokerage Warburg Realty. “People are very anxious about overpaying.” With borrowing costs and new federal limits on tax deductions for mortgage interest and state and local levies also are making home ownership more expensive, giving shoppers even more reasons to push back on a listing’s price — or walk away. An article in The Real Deal in March of 2016 noted the slow down in development site purchases with buyers not willing to pay more that $800 buildable square feet. The demand for high end condos is diminished in Manhattan. In Toronto development land prices continue to rise but is there limit? How much can the buyer pay entering into the market today and more importantly tomorrow? This is a primary question that impacts future urban infill projects. Toronto is an expensive place to build with government process and fees raising cost and the time to market. The federal government budget although large on soft issues was small on real economic factors from my review. So what does it mean for real estate in the GTA. It assumes moderate growth, slowly rising interest rates and little incentive for business stimulus. The Ontario government, bowing to pressure from large municipalities, is scrapping the Ontario Municipal Board. In the past a Developer presents his project plans to the City for consideration. Usually the Developer has a basis for his proposal. The City reviews the plan in a well defined process and makes its recommendations to the Developer in order for the project to be approved. If the Developer disagrees then they have the right to file with the OMB for a review. This can happen because of disagreements on land use, density, City restrictions etc. The basis for the appeal would be the development rules that are set by the province and the Cities Official Plan (OP). The review panel starts from the beginning takes that into consideration and comes up with a recommendation which is considered final. Often it can go against the wishes of City Planning. The Cities complain the process takes up large amounts of its staff time (Toronto Star). The new system gives far more power to the City. If there is a disagreement the project will now go to a Tribunal which will look at the existing work and make recommendations back to the City. TVO highlighted concern in December, it is most interesting that both Developers and Environmental groups are concerned that it takes due process out of the system. This is a big shift in power to the municipal government. What does mean? Likely longer approval periods. Developers I have spoken to believe that it will take much longer to arm twist local Planning into agreeing to the rules and precedence that have been put in place ultimately adding to time and cost to a project. It will may also make it more difficult for smaller developers to move projects forward as the cost is already significantly high. One of the good things about the recently retired OMB was its ability to minimize political influence. Under the new forum is there now the risk for the flow of funds to politicians and civil servants as the stakes become ever higher. For the real estate business if this slows projects, restricts density or reduces the opportunity to use land for redevelopment that will continue to feed the GTA housing dilemma. 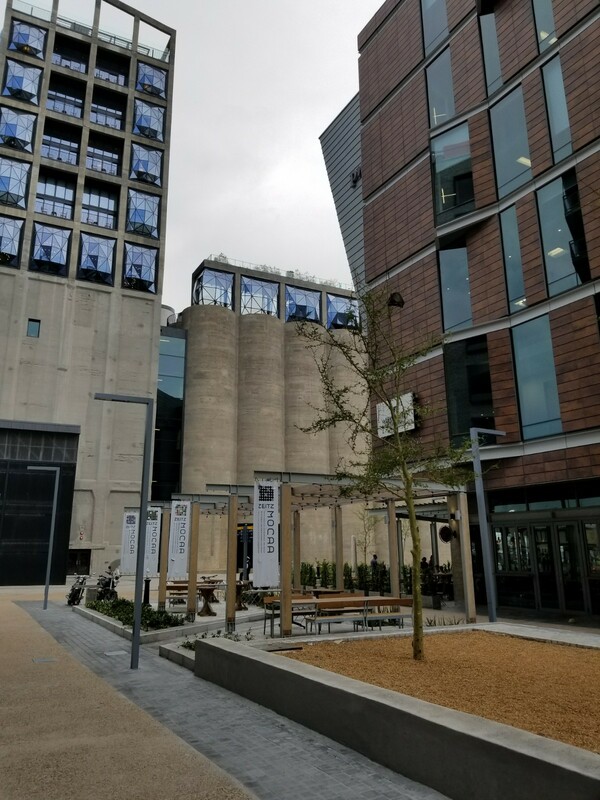 in Cape Town SA has found a way to take an existing unused grain elevator and give purpose with an unique look and feel. 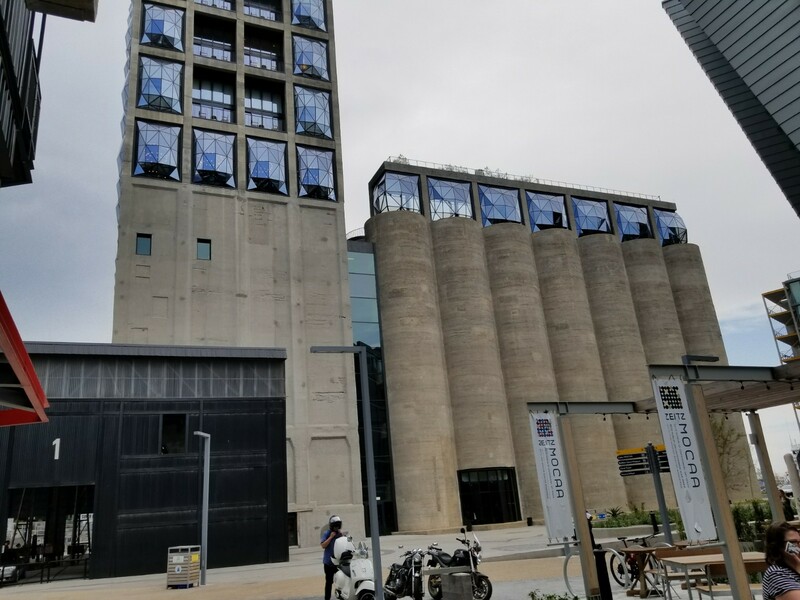 This elevator has been converted into a hotel and museum. Forward thinking by some people. 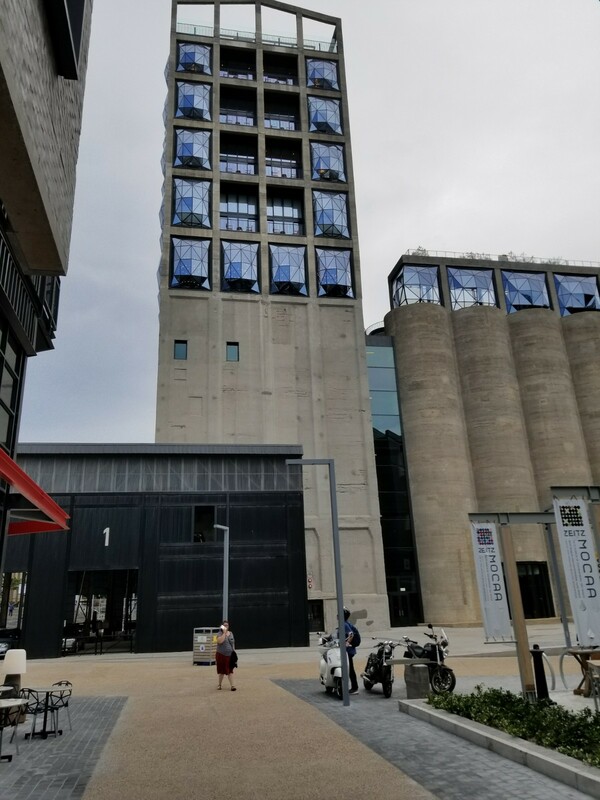 There elevators around southern Ontario such a Collingwood that potentially be reused in such a unique manner. National Post provides an upbeat views of the young family looking for a home. Not yet down and out. Numbers from TREB at the end of May will provide some insight to the state of the market and if proposed Ontario Liberal market intervention has had an impact. I have held off discussing what the Ontario Government is proposing to cool the housing market but after considerable thought I have concluded nothing. What they have done is damage the investment market by expanding rent controls which will halt all single purpose construction in the GTA as noted in the NP and the Toronto Star. Many of these projects were funded by pension dollars and they are not interested in investing in government price capped markets. The Finance Minister in an interview does not know what are the market implications of the Foreign Buyers Tax. Will it cool the market, John Robson says Why it is time to hit the roof. The Toronto Star today suggested that a tax belong on the speculators and not foreign buyers. Simply by forcing buyers to close on new construction and not assign the property along with a flipping tax would help cool speculation. MacLean’s article this week Wynn government flies blindly into the housing bubble outlines the folly of the market controls and or for that matter the impact on product availability. Like all governments they are going to study the problem. Unfortunately the problem is that without supply and with continued demand prices will stay high. A liberal spokesperson on the Arlene Bryon Show proposes a capital gain tax on the sale of your principle home. I am sure you can see where this is going. I spoke to Gary Singh Of Royal Lepage Signature today about the market and he indicated that it has been slowing since the start of the month. This weekend some buyers were parked waiting to see what happens but he believes that it will pick up steam going into May as there is too many buyers. A paid article Stop Strangling the Middle Class in the papers today highlights that how the over two million acres of land the Wynn government took out of development market has created this mess. No other market driven jurisdiction in the world has done this and along with complex planning and environmental laws we are now reaping the rewards of government planning. You know they have a point. As an investor in the market homes will continue to be purchased, infill will continue and new condo projects will march forward but be very wary of the impact of rent control on your investment. As new guidelines are being drafted for FINTAC the agency is concerned about ethic groups from areas of war and terrorist activities as reported today in the NP and the Globe and Mail. It appears that the real estate industry has encouraged a withdrawal of such a requirement but the fact remains that whether doing a residential or commercial transaction the we must be aware of potential risks. In this age of heightened concern in the western world the industry needs to be careful of who we are doing business with. National Post reported yesterday a big surge in Canadian GDP with some Economists predicting Canada will out strip the US in growth potentially near 4% annually. As we look for answers to the housing price increase such growth is good news and bad, good for struggling parts of the country and maybe not so good for Toronto and Vancouver. Lets aee howbthings play out over the next two to three months.